Ian was born in New Zealand. Childhood summer holidays involved long hours of snorkeling and fostered a love of the ocean and marine life. A passionate scuba diver and underwater photographer for the past 28 years, Ian has dived in over a dozen different countries and widely around New Zealand. 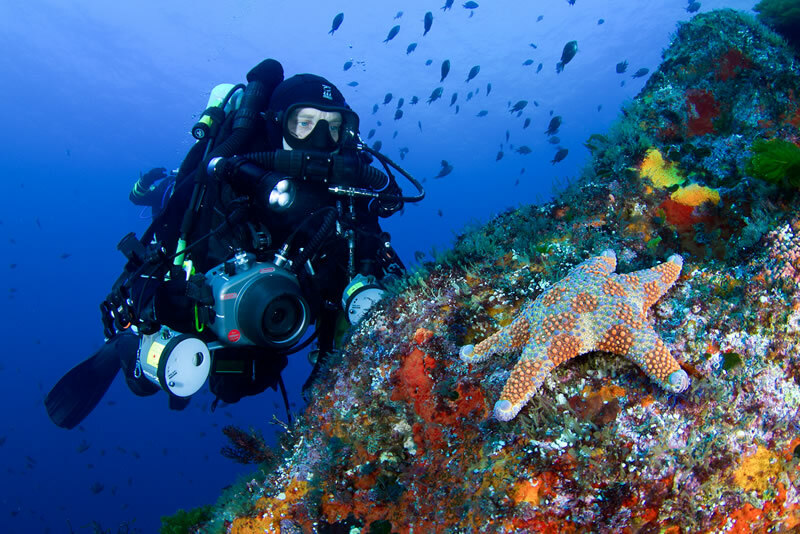 From the sub-tropical Kermadec Islands to the cool clear waters of the subantarctic islands, New Zealand’s spectacular marine environments have provided him with a wealth of diving and photographic opportunities. I look forward to reacquainting myself with the beautiful Three Kings Islands and reliving memories from past trips where much of the diving was focused on recovering gold and silver coins from the shipwreck of the Elingamite. I hope we’ll be able to dive some of the Three Kings’ famous dive sites including Durey’s Dreampipe, Princes Arch Pinnacle, Dentist’s Cavity, and the shipwreck of the Elingamite. My particular skills are as an experienced diver and underwater photographer with a good knowledge of New Zealand’s fish and marine invertebrates. I will be on the lookout for rare or unusual animals and trying to get the best photos I can of them. I also look forward to helping the others with their collecting work. A day at work has me sitting in front of a computer for lengthy periods and travelling to construction sites where I’m involved as a consulting engineer specialising in refrigeration. This pays the bills so I can go diving!